Once students have had practice converting from metric to customary and customary to metric, they are ready for the conversion worksheets in this section where both classes of problems are mixed together. 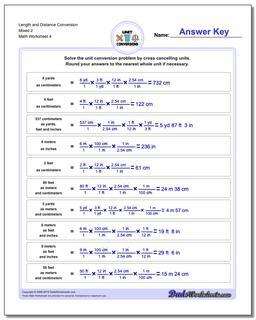 The practice problems on these worksheets will require students to think carefully about which unit system the problem data is given and apply the corresponding conversion factors appropriately. These worksheets can serve as a final test for a math unit on conversions, or as refresher practice for summer study. 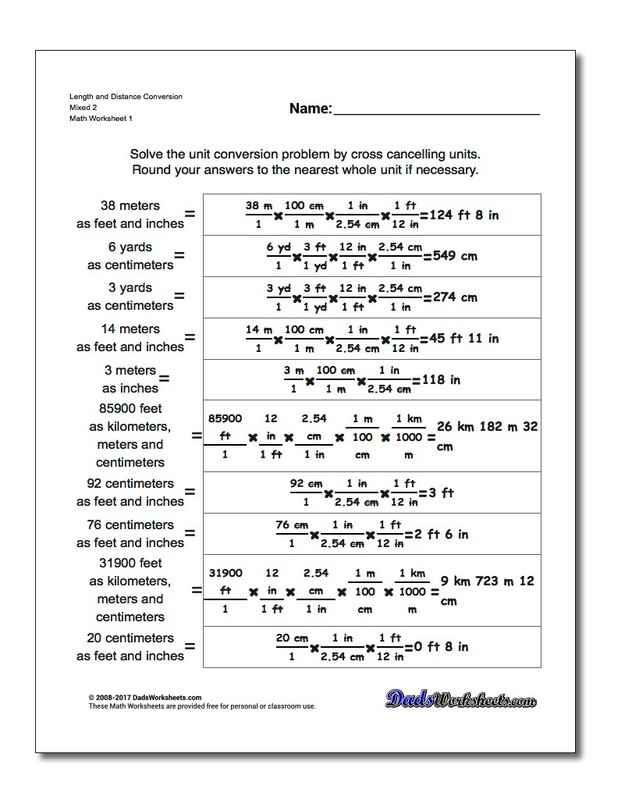 If you identify problems with a certain type of conversion work, use the worksheets in prior sections to practice until mastery is achieved. 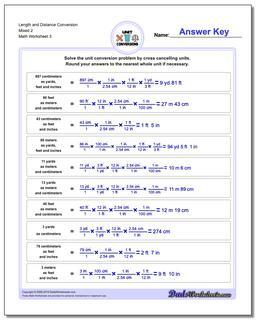 The conversion worksheets in this section focus on multi-stage conversions, and the answer keys provide detailed steps as each conversion factor is applied to get the final answer. All of these worksheets are appropriate for classroom or homeschool work.